For full Tapatalk Forum Index, please click here. Please let us know about any problems or suggestions on this Forum. 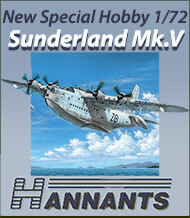 HyperScale's Aircraft Scale Modelling Discussion Forum. HyperScale's Post-WWII Scale Modelling Discussion Forum. HyperScale's Buy, Swap and Sell Page. HyperScale's Model Photo Posting Forum. Now on my Workbench - HyperScale's Model Theme Images Forum..
Group Build - "Airfix, Frog and Matchbox - Classic British Kits" . Post photos of your 1/72 scale kit projects on this Forum. Post photos of your 1/144 scale kit projects on this Forum. Post photos of your scratch built, vacform, resin and limited run projects on this Forum. HyperScale's Military Vehicle Modelling Discussion Group. HyperScale's Maritime Modelling Discussion Group. HyperScale’s Model Car and Other Automotive Discussion Group. HyperScale's Figure Modelling Discussion Group. HyperScale's Bulletin Board for Clubs, Model Shows and Competitions. The Announcement Board will keep you up to date with news and developments of HyperScale and the Forums. All contributions are welcome but please refrain from political or abusive comments, racially or religiously offensive remarks, swearing (including the thin disguising of swear words with asterisks and other characters), insulting language and crude metaphors. Please do not use Plane Talking as a public platform to complain about retailers or manufacturers (about issues such as broken or missing parts) before you have followed all normal channels to resolve any greivance. Plane Talking is not the place to conduct personal feuds or for posting personal attacks. Please do not post in capital letters only, as this is considered to be shouting and therefore impolite. Also, please do not post in 'texting message' word format. Any posts breaching these guidelines will promptly be removed from the server and the offender may be excluded from further posting to the HyperScale Forums. Off-topic posts may also be removed from the server. In addition, Plane Talking is not a forum for the public criticism of the models that appear as Galleries or Articles. Please make any suggestions for improvements or criticism direct to the author via the email link at the bottom of the Article. Offensive and off-topic posts will be promptly removed from the server and offenders may be barred from further participation on the Forums. Finally, please note that this Discussion Group is privately operated and that I reserve the right to delete any post or cancel any registration for any reason whatsoever.